Christmas is probably the most joyously celebrated of all Christian feast days. But should it be? Think about it: Why was the Son of God born as a human being? It was that He might take our place in the judgment of God. That judgment was death. Physical death. Eternal death. The judgment of God is Hell: Being forsaken by God. Born to die. Death – we don’t want to think of that when a child is born. A child is born to live, and we’ll do all we can to let a newborn live. The Son of God did not have to be born a human being. He has always been. He chose to be born. Take note of God’s goodness! He did not have to but He did. Further, the Son of God, even as a human being, did not need to die. Enoch did not die. Elijah did not die. Like them, Jesus the Christ could have lived a human life and then simply gone to heaven. From Christmas to Ascension Day, skip Good Friday and Easter. But die He did. For He is the Lamb of God, sent to pay the ransom for sin. His will was to do the will of the Father. So THIS is Christmas! Should we not be hiding our heads in shame? And yet, let’s also celebrate. For the beginning of Christ’s humiliation also marks the beginning of our salvation. 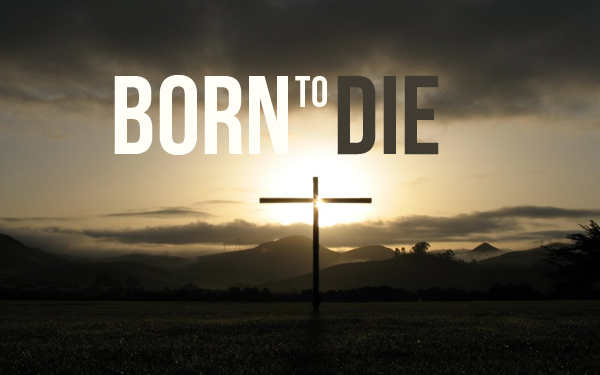 The Son of God was born to die. He would die that we might live. Next How is Your Door Mat Looking?